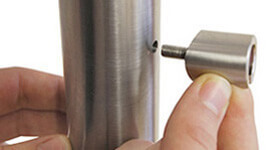 1 11⁄16 inch (42.4 mm) diameter posts. 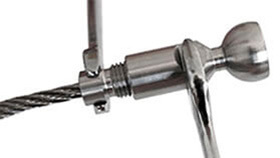 Produced engineered in Britain from 316 marine grade stainless steel, giving you a guarantee of durability and quality you can trust. 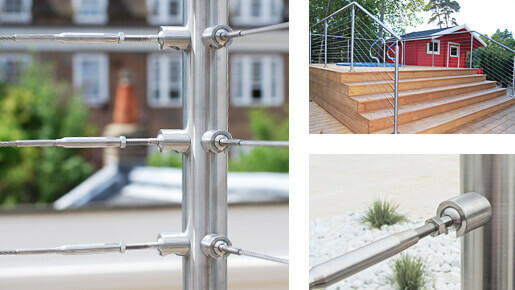 Preserve your view: An example of decking fitted with 5/32 inch (4 mm) deck rail. 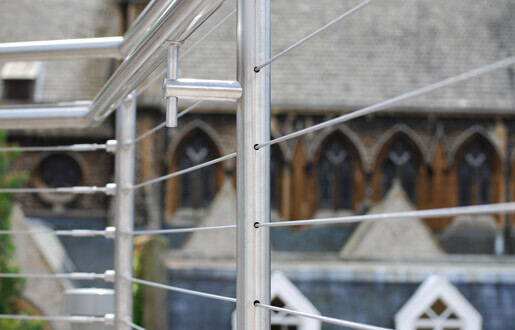 The cable railing gives a stylish finish and provide an unimpaired view from the deck. 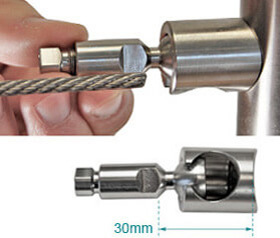 You can run cables up to 50 ft passing through any intermediate posts, reducing the number of cables you'll need! 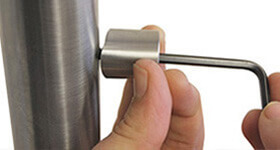 Ideal solution to allow for shallow angles such as stairs and inclines. 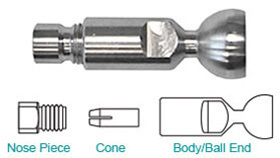 The ball and socket design gives articulation of up to 42 degrees. 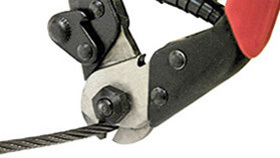 Before installation we recommend you consult with your local building department as building code requirements vary by state, county or city. 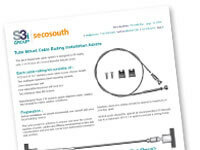 Plan your project in advance to ensure you have the correct number of posts, cable and fittings, remember to take into consideration end post and corner post termination clearance and position. 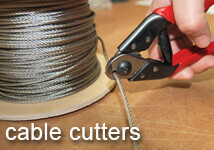 Stainless steel cables should be spaced 3 inches apart. 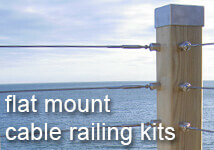 Vertical posts should be spaced at recommended 5 ft intervals (to a maximum of 6 ft 5 in.) 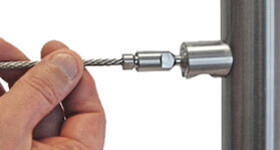 to ensure a strong frame. 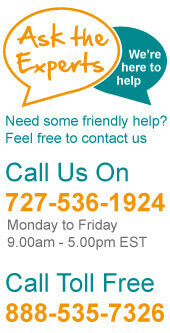 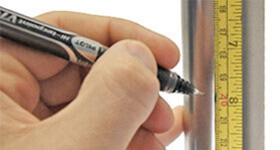 Layout your design onto the relevant surface with a pen or chalk prior to drilling any holes. 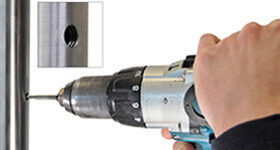 Thread a M6 screw through the centre hole of your socket and align to the post, with the socket opening pointing downwards (for a neat and tidy finish). 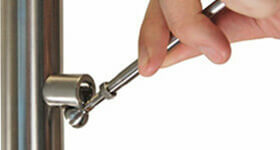 Using a hex head key, tighten the M6 screw until your socket is securely fastened to the post. 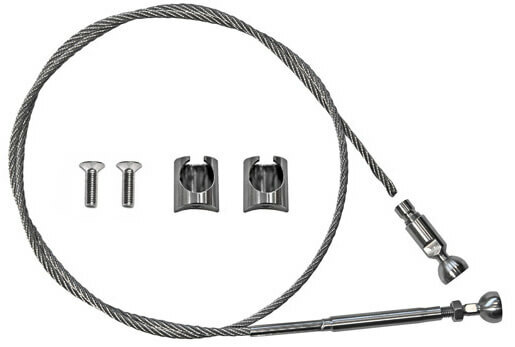 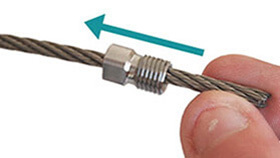 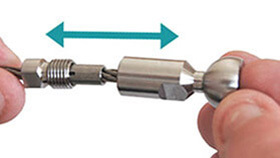 Starting with the pre-fixed tension ball end, screw out the ball end to reveal approximately 0.7 (20 mm) inch of thread, you will need this to apply your final cable tension once installed. 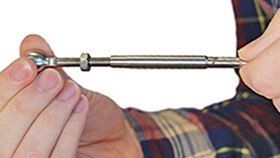 Using 8 mm and 9 mm wrenches (metric), simply screw the two sections together until tight. 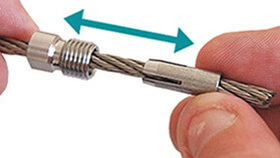 Returning to the pre-fixed ball end, simply screw the thread in to achieve the desired cable tension. 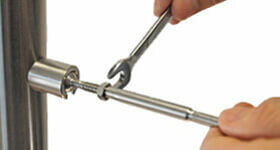 Once you have achieved this lock the nut into place using a 9 mm wrench (metric).